Beard growth vitamins are a dietary supplement intended to encourage rapid and healthy beard growth. They are a mixture of vitamins and minerals such as vitamin A, B, C, and E as well as Niacin, Thiamine and Biotin. Our bodies use, create and absorb these nutrients from the foods we eat to help our hair grow healthy. The best beard vitamins will contain a balanced blend of the essential vitamins and nutrients to help our bodies boost rapid and healthy hair growth. I am happily bringing you my top 4 best beard vitamin list. I have tried and tested each one of them in the last 12 months, and I am glad to say that there have been side effects experienced when I stopped taking one vitamin to switch to another. I have saved the time and headache of those interested or curious about beard vitamins by trying and researching them. I will be happy to give a recommendation at the end of the list and explain why I recommend that particular vitamin. Each one of these beard growth vitamin supplements has a different blend or combination of nutrients. Each one is promised to work, and I can honestly say that each one of them has worked. These all natural vitamins and minerals make it a more nutritional dietary supplement. Containing a high level of oxidants that will protect the body from damages that affect hair growth. The all-natural ingredients are why this supplement has made my best beard vitamin list. Beard Grow XL is a good choice because it is all-natural and that means that there are not human-altered additives or chemicals in this supplement. This product has helped genetically stunted hair to grow in healthy and full. I purchased Beard Grow XL to help try it and see if it would help some patchy spots in my facial hair grow in quicker than other products I have tried. I was skeptical that it would be a waste of money and I wouldn’t be in better place than I was prior. Boy was I surprised and pleasantly surprised, to say the least. I was impressed with how quickly my patchy and thin hair was beginning to fill in. It was healthier than I had ever seen it before. The beard itch that I would feel on my chin from dry skin and hair growth was also not an issue from the beginning. This proprietary blend is what has this product on my list. This supplement is an excellent choice because it is not only a vitamin to help boost healthy hair growth, it is a daily multivitamin as well. Premium beard growth vitamins include a full 650 mg of our proprietary BioSitol Complex 1, Saw Palmetto, L-Cysteine, P-Amino, Vitamin B6, C, E & D3 for a GLISTENING beard. Full, masculine power, no matter your profession. Beard Growth Supplement for Men proved to be more exciting than it’s rather a bland packaging and lack of information lead on. You could notice little results early on, but the longer I took the supplement, my family and friends noticed a difference. These are essential ingredients in healthy hair growth and maintenance. Epic Beard Growth Formula has made my best beard vitamin list because of its Biotin content. Biotin is a vitamin b complex, which is naturally produced by our bodies. Giving an added boost of Biotin our bodies are stimulated to increase the creation and growth of hair. The Kelp content in this product contains nutrients such as Iodine, iron and L-Lcyine that also aids in the growth of hair. Guaranteed to work better than any oil, butter blend balm, spray, cream, conditioner, capsule, kit, accelerator, foam, grooming gel, patches, or other grease supplement out there. When deciding to try this product I was a little concerned with the Kelp content, as it is known to carry high levels of Iodine, which can be toxic. However, I decided I would give it a 4-week trial and see if it was the product for me. It was a slow progression to start out with; I was in the middle of week 3 when I finally noticed that my facial hair was growing in thicker. I began to see some stubble in my bald patch on my cheek. This product did prove to work just not as quickly as I wanted it to. VitaBeard Facial Support Formula is not only a beard vitamin but also a daily multivitamin for men as well. It is packed full of essential nutrients and vitamins for daily health. The fact that this is not just a product to help boost healthy facial hair growth and is a daily vitamin as well has put it on my best beard vitamins list. The vitamin A, Biotin and Folate are essential to healthy hair growth. Our bodies use the vitamins and minerals daily and they use the foods that we eat to provide or help create these minerals. Giving an extra boost of these vitamins will stimulate hair growth. Vitabeard is a good choice because it is more than just a beard vitamin. We invented beard vitamins! VitaBeard was the world's first beard growth supplement for men and is still the best. Always copied but never equaled, VitaBeard supports healthy facial hair growth for men. Upon giving Vitabeard a chance, I was happy with the overall results; I felt better, healthier, and more energized in about 35 days on the vitamin. My facial hair grew much healthier and fuller than without the vitamin. I did not notice significant results in the hair growth quickly; it took almost 6 weeks to see any changes. By week 8 I could see that given more time my hair would be thicker, shinier and healthier. However, I wanted something that would work much quicker when I needed it to. We have looked at 4 of the best beard growth vitamins on the market here, they each have great qualities and range in price. Each one works as a beard growth supplement. Some work better than others and some work quicker than others. I have found that one product works better and faster than the rest. My personal recommendation would be the Beard Grow XL. While Beard Grow XL is not the cheapest vitamin supplement on the list, it does work best. I have tested and tried each of these four beard vitamins supplement and based on experience, results and quickness I prefer and recommend Beard Grow XL and so does my wife. My wife loved my beard with this vitamin. My beard was thicker, fuller, softer and shinier. My cheek patches that were always bare or filled in lightly actually filled out nicely and matched the rest of my beard and the annoying “beard” itch was relieved even after shaving and starting with a baby smooth, fresh face. I was no longer an adult male that had the facial hair of a teenage boy in puberty. When Should I Take Vitamins Supplement for Beard Growth? Beard vitamins are best suited for thinning, patchy, itchy and damaged facial hair. These vitamins are essential for those who want rapid hair growth or healthy hair growth when our bodies are deficient in the natural vitamins and minerals that are needed for hair growth. A great factor in the best beard vitamins is they can help regulate oil production in the skin beneath the facial hair growth to help relieve itchy beards. 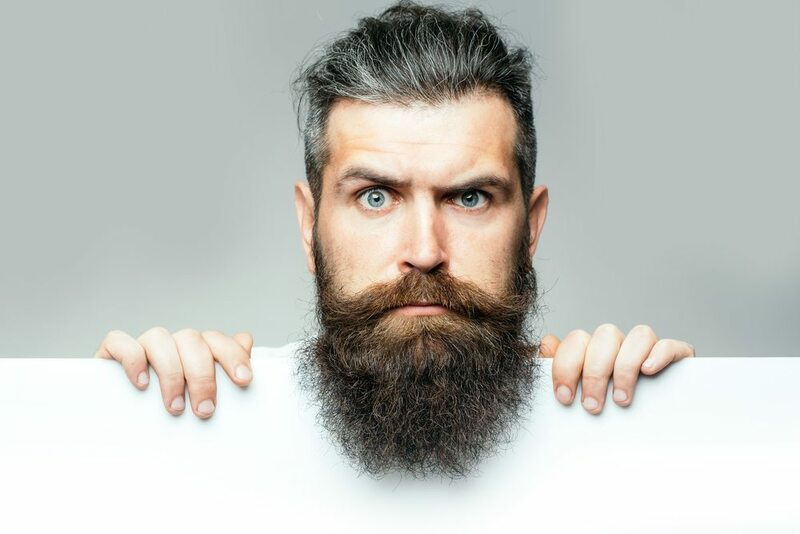 Many beard vitamins will also contribute to preventing gray hair growth in the facial hair, which caused from stress or nutritional deficiency. Beard vitamins can be taken with our without a meal at any time to maintain healthy hair growth. Most men will wait until they feel they need it when they notice their facial hair is growing in patchy, thin, or even feel itchy skin under their beard. Extra stress in life is another instance when men will start taking a beard growth vitamin.